Dream Comes True for Redruth Estate Agent! 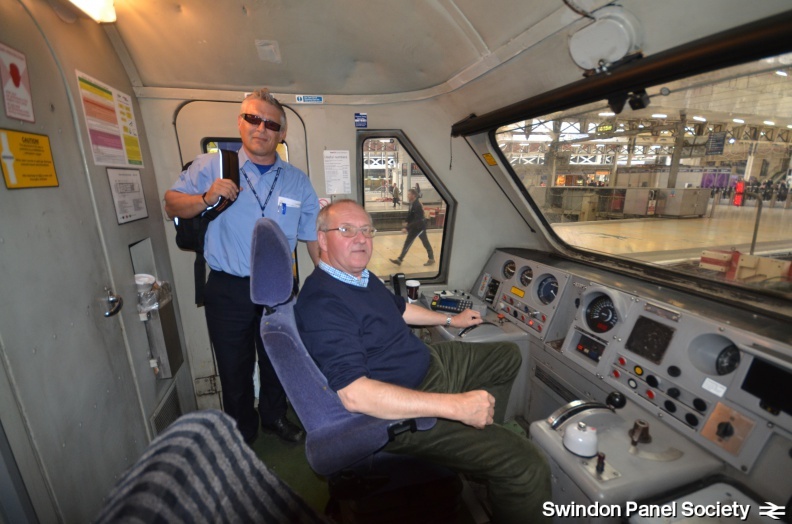 A lifelong love of trains gave Bill an unbelievable chance to ride in a cab of a high speed locomotive from Bristol all the way into London Paddington. It started when his son, who drives trains from Long Rock, found details of an auction offering a cab ride with the proceeds to go to the Swindon Panel Society. Also seen was the complete remodelling of Reading station to include a flyover and also the future electric masts from Paddington to South Wales have now started and there is a tremendous amount of work going along by the railway. Bill continues, “At various times 125 mph was achieved and it is interesting to note that when the power was shut down, the train could coast for some four to fives miles, bearing in mind also this is a very flat route known as Brunel’s Billiard Table. “This is probably one of the best things I have ever achieved and it will remain with me forever”. Thank you very much indeed to First Great Western for facilitating this event for us and for Bill! We will have a new auction starting in the near future, so keep your eyes peeled for that! 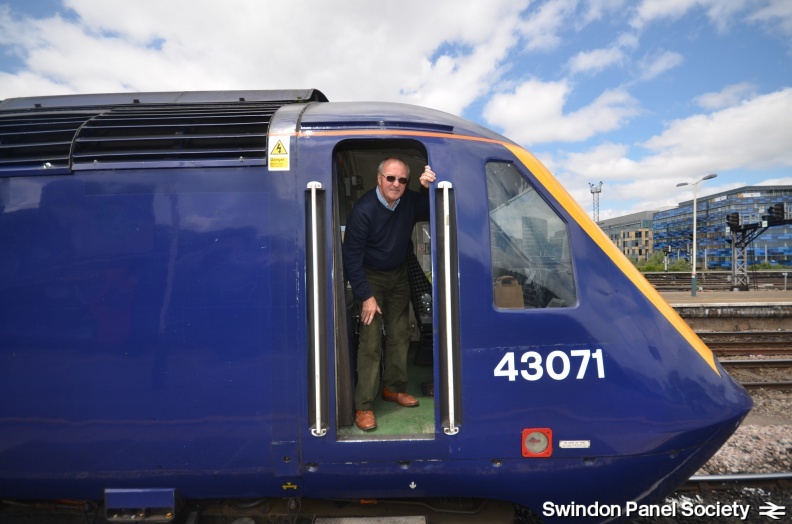 Bill in the HST power car at Bristol, and, at the top, in the driver’s seat at London Paddington.